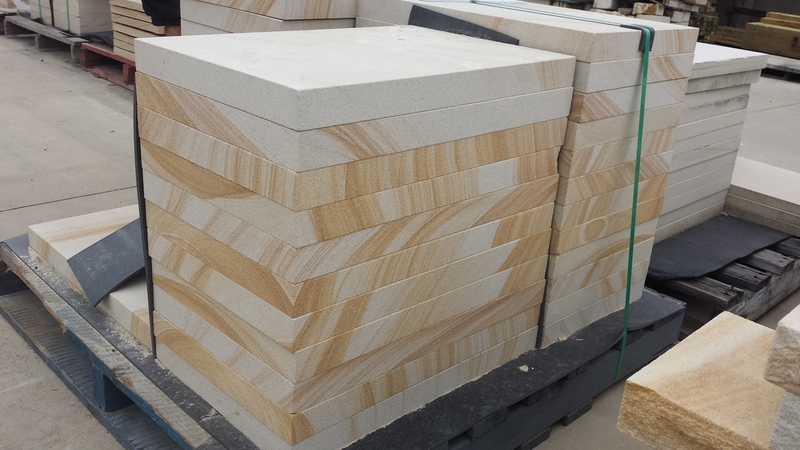 Gosford Quarries is Australia's largest and most trusted sandstone supplier. Dealing with only 100% natural Australian sandstone, GQ has built a reputation as a leading provider of affordable, Aussie owned materials. We are always working towards innovation and making Australian Sandstone readily available and convenient to purchase. As a business with decades of experience, we have consistently developed technology to ensure that our processing does not jeopardise the integrity of the stone. Offering export quality materials to local residents as well as the international market, we believe in creating an approachable business that puts quality as our number one priority. That is why our stock items include the "sandstone essentials" like step treads, risers, sandstone capping, paving, cladding, garden edging, retaining wall blocks and so much more! GQ have showrooms across three of the major states that hold a vast range of our stock items, readily available for purchase. Each of our sales yards are stocked with quality dimension cut sandstone capping, blocks, pavers, garden edging, cladding and more standard sized stock supplies. We offer a comprehensive range of dimension cut items which are ideal for a variety of applications, including landscaping projects, wall cladding and repairs, construction projects and restoration work. Standard cut sizes are ideal for those working in a specific size area, calculating the amount of materials required for each project becomes a simple task of measuring. Gosford Quarries has access to nine of the most prestigious quarries in the country. With access to some of the rarest Australian sanstone colours, we are unbeatable in terms of choice. Whether you are looking for sandstone capping for retaining wall, or large pavers for a landscaping project, GQ have the largest selection of colours available. Clients choose Gosford Quarries for our flexibility and range. Along with our standard items we are able to custom cut to your specifications. With over 100 years of experience in the stonemasonry industry, we have developed the technology to create intricate designs and cuts, without compromising the stone. Our export quality materials will last you a lifetime, whether custom cut or dimension sizes. Visit one of our many convenient Showrooms/Sales Yards for more information and for advice on non-standard and specialty orders!